2005. 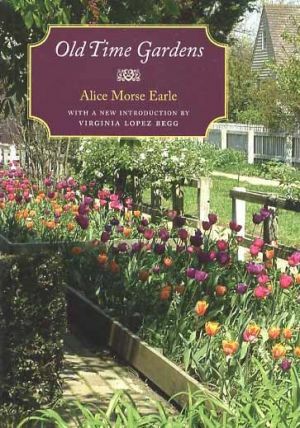 By Alice Morse Earle. A recent reprint edition of this classic gardening book originally published in 1901. Book has long been considered one of the most popular and influential garden books of the early twentieth century--and one of the first to be extensively illustrated with photograph. This edition also includes a new introduction by landscape historian Virgina Lopez Begg.